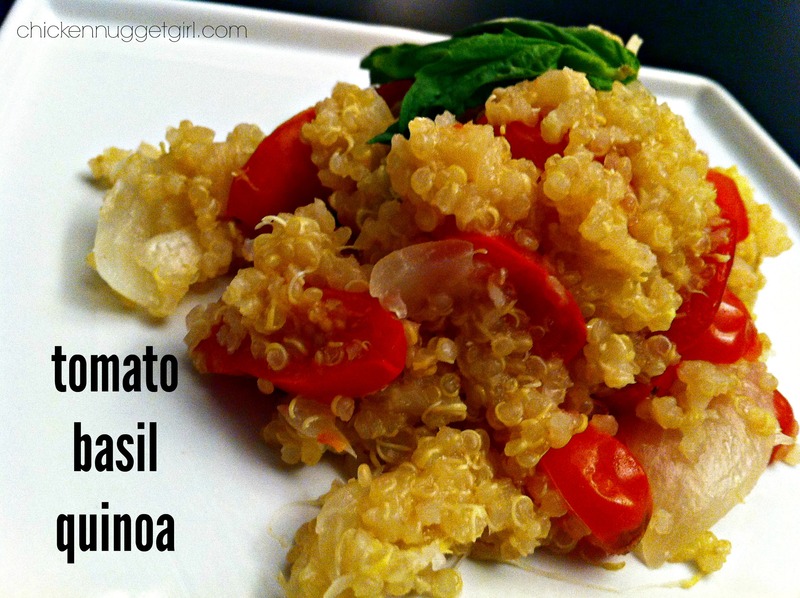 I promise this is the easiest thing ever to make and is really good for you. 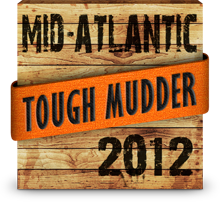 Done and done. 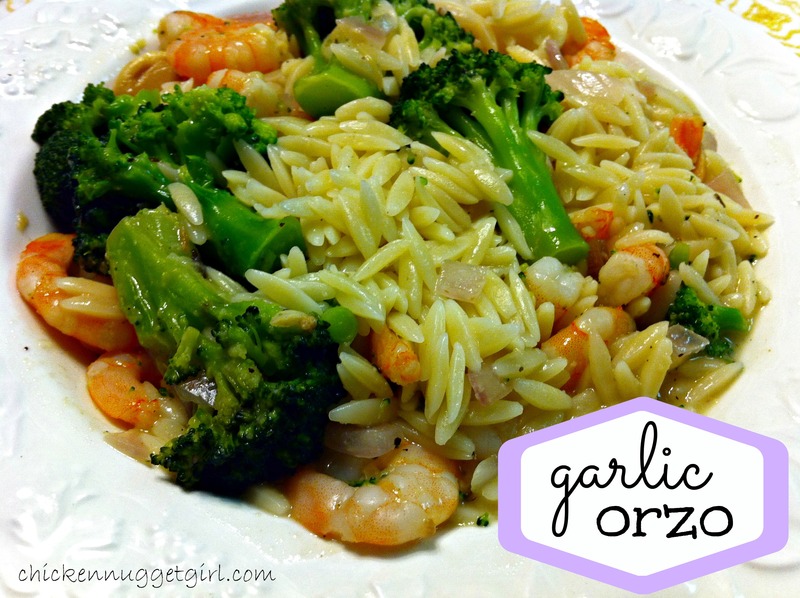 It is also nice to get in some veggies other than in salad form (especially in the winter!). Don’t forget they are low in calories, fancy-looking…I could go on forever! In a large bowl, toss zucchini, squash, red pepper, and onion with olive oil and seasonings. 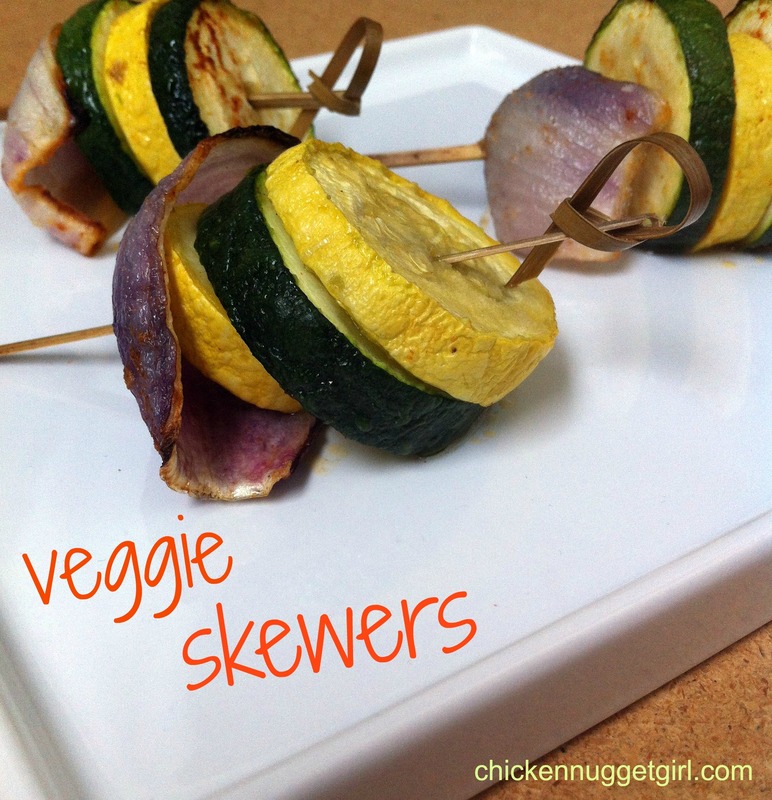 Stab a wooden skewer through the veggies (stacked as you please). The freezing temps of late have made me only want to eat WARM things. There are only so many soups that I like 😉 so I am being forced to get creative with new, WARM recipes to throw in the weekly mix. 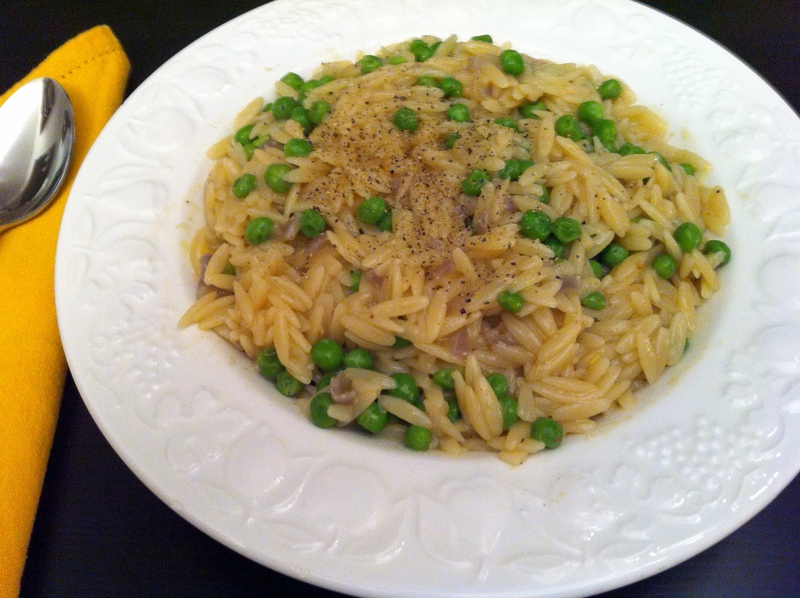 This mock risotto is a definitely a good hearty dish you can come home to after a long day battling the winter weather! 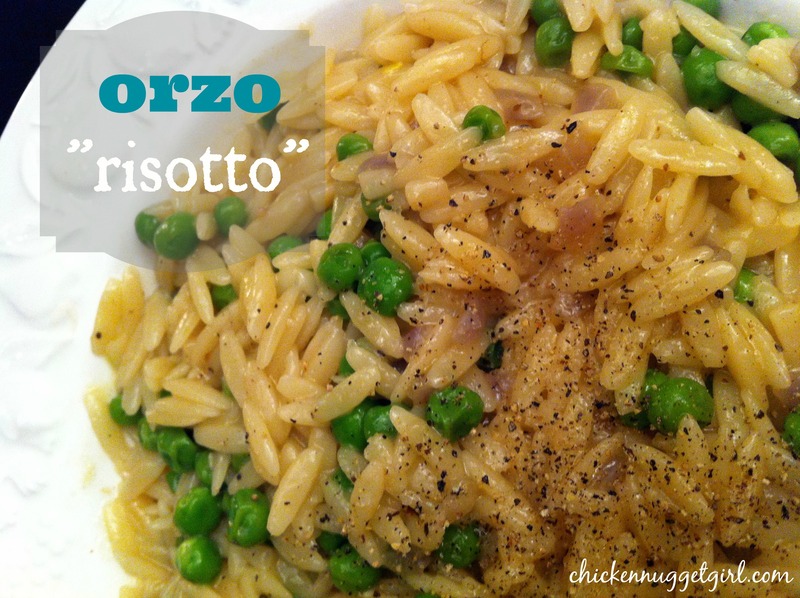 I think I am starting to have an orzo obsession. This recipe was inspired from HERE! 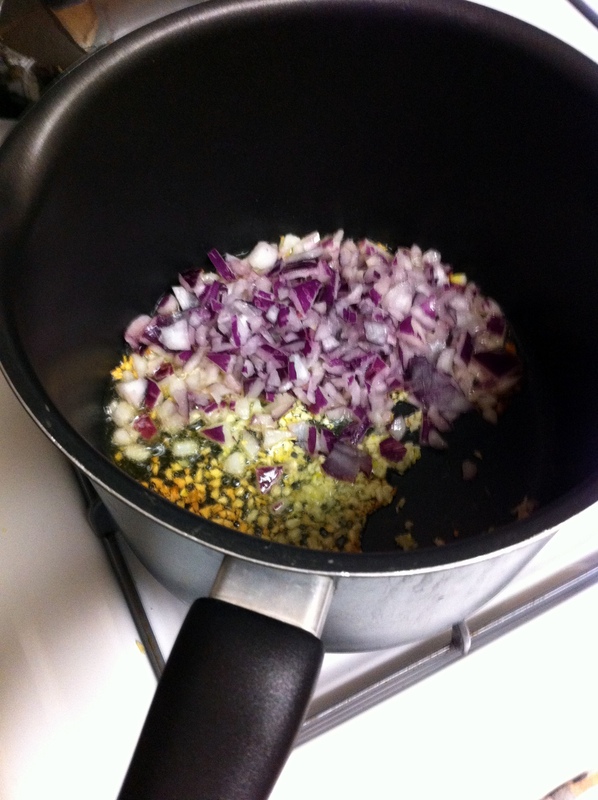 Add olive oil, onion, and garlic. 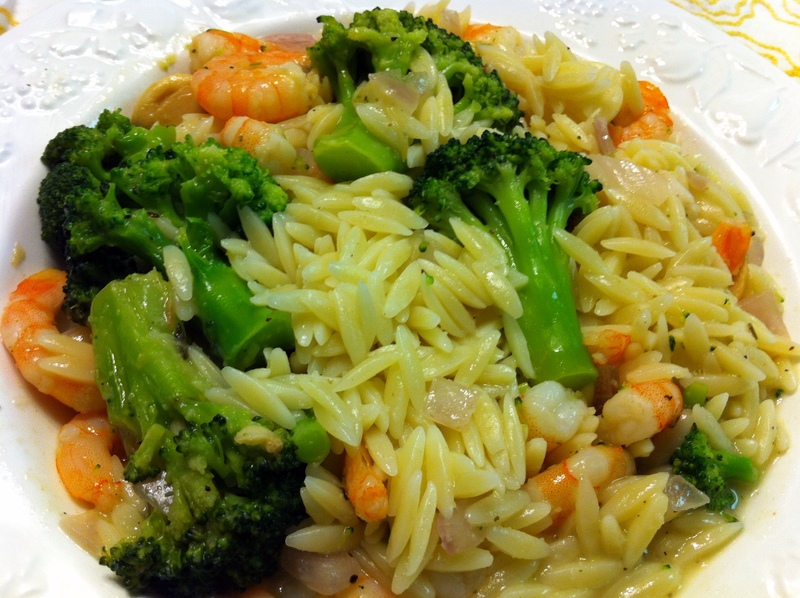 Cook while stirring occasionally for 3 minutes. 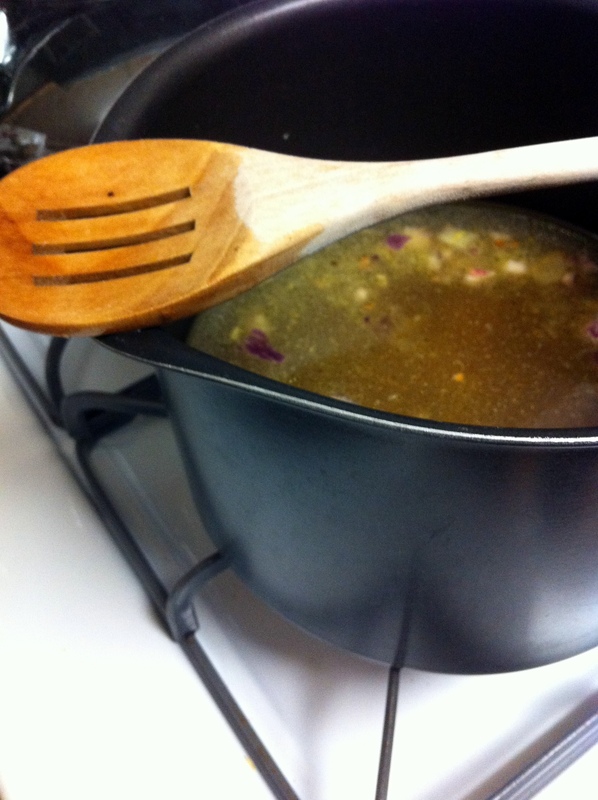 Add broth and stir until boiling. 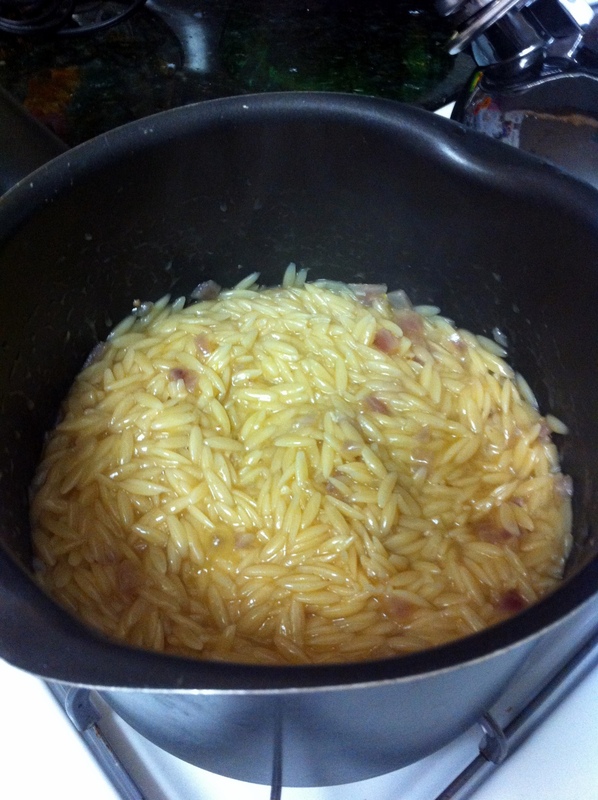 Simmer until all the liquid is absorbed (about 15 minutes) while stirring occasionally. 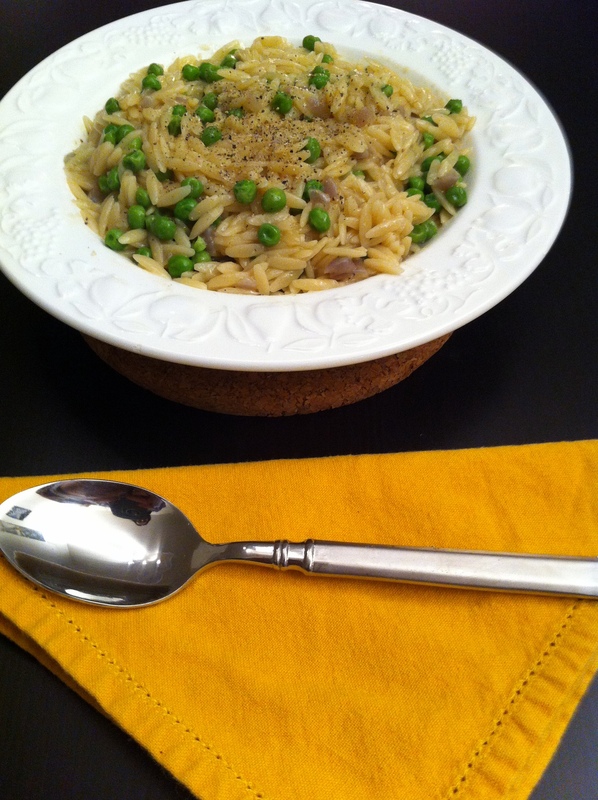 Microwave frozen peas and toss into orzo. Season with salt & pepper and serve! 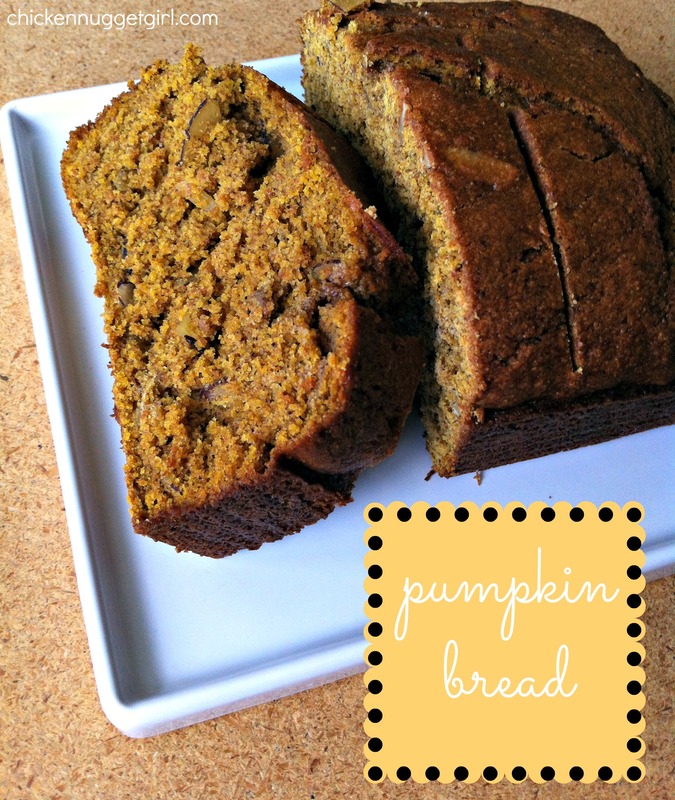 I found this delish recipe when browsing Pinterest over the weekend. Obviously I chose them for the chocolate. 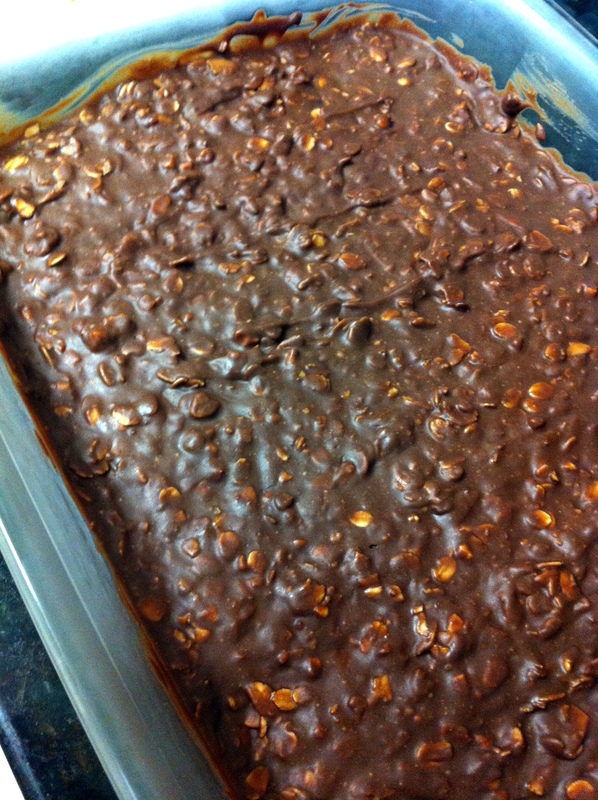 But the no-bake aspect is right up my alley and it helped that I already had all of the ingredients in the pantry. 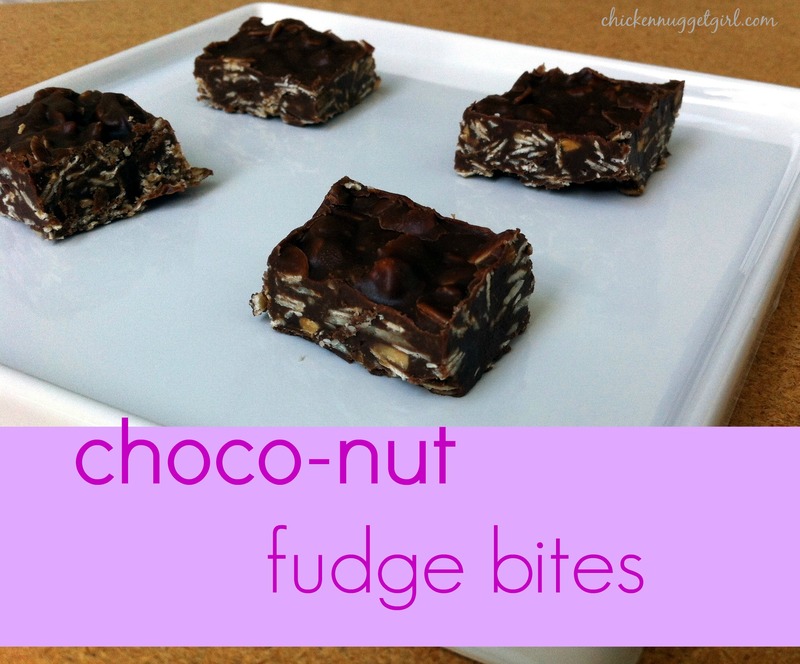 My no-bake bites were inspired by the bars from HERE. 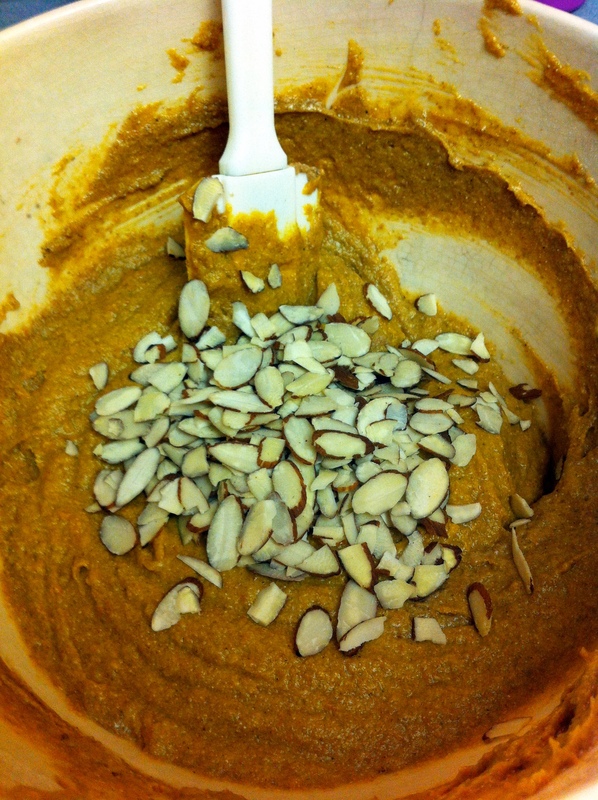 Heat peanut butter, agave nectar, and coconut oil in a saucepan with the burner on medium-low and stir until combined. Remove from heat. 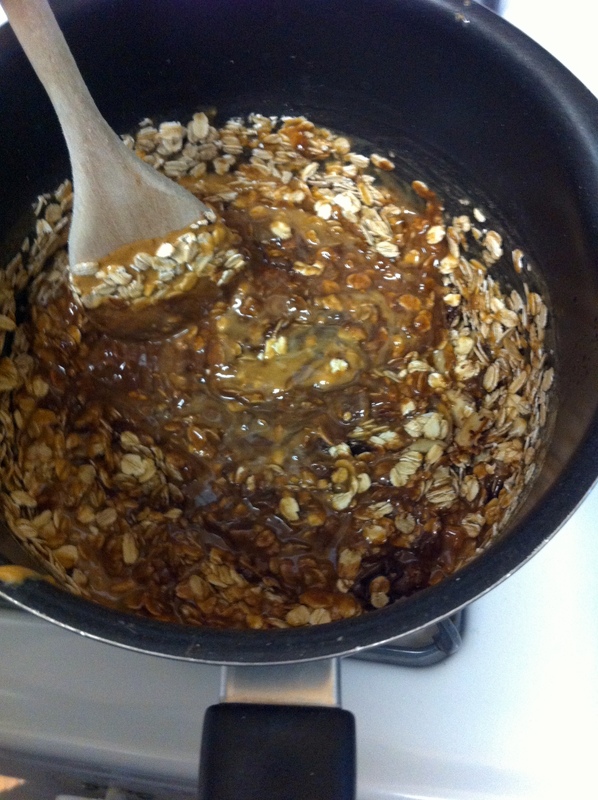 Add dark chocolate pieces, oats, and vanilla extract and combine until melted. 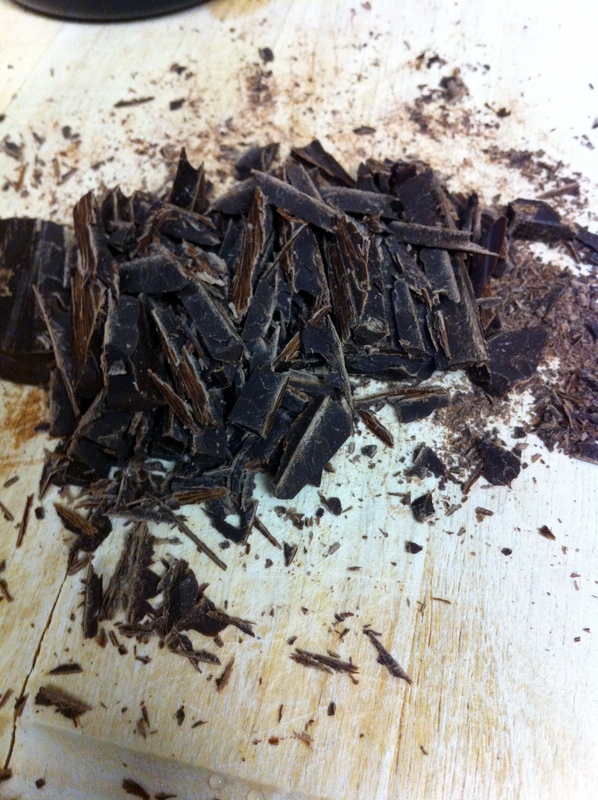 Pour into pan and cool in the fridge until hardened. 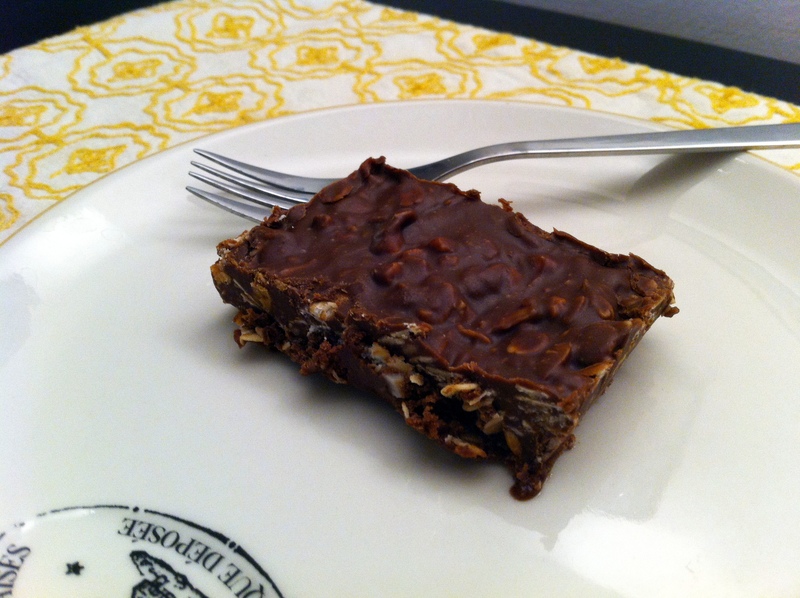 Cut into bars (you will need a big ole’ knife when it’s set) and enjoy! Keep cool until ready to serve and store in the fridge. 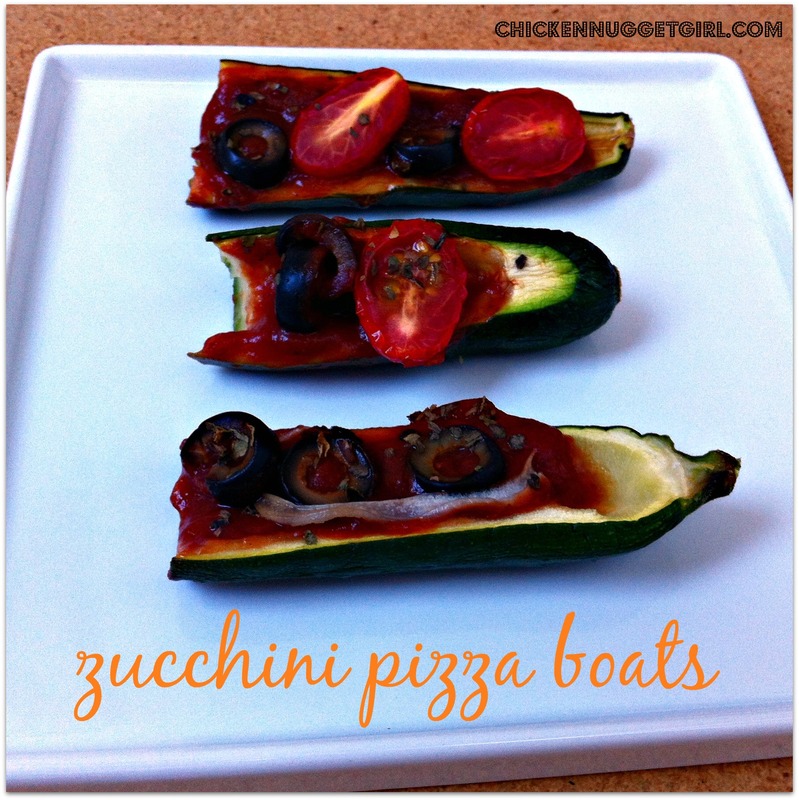 I’ve wanted to bake these yummy-looking zucchini pizza boats for a really long time, but for some reason it took me awhile to finally make them. I am definitely going to remember them from now on though, because they are delish! 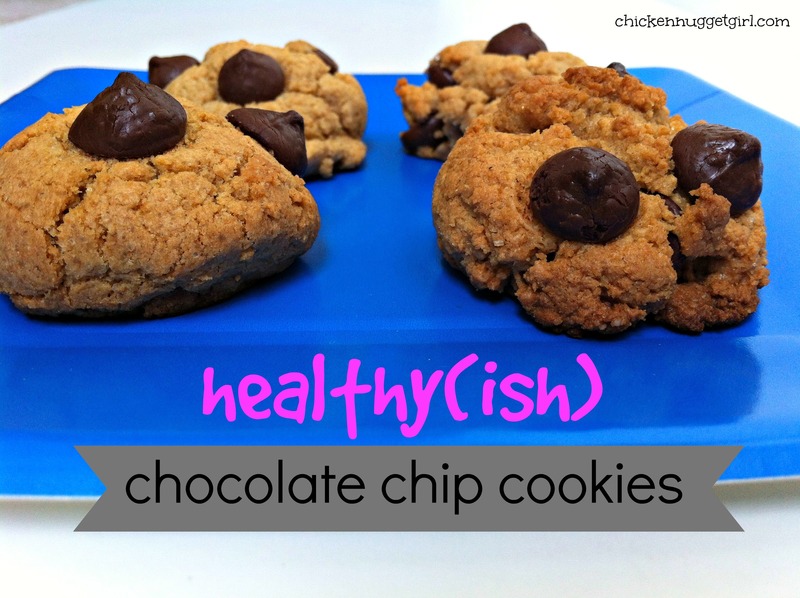 Simple ingredients and super easy to make. We served them as appetizers at a dinner party and they stayed good even as leftovers the next day. Also a plus – you get your fill of pizza without the calories. 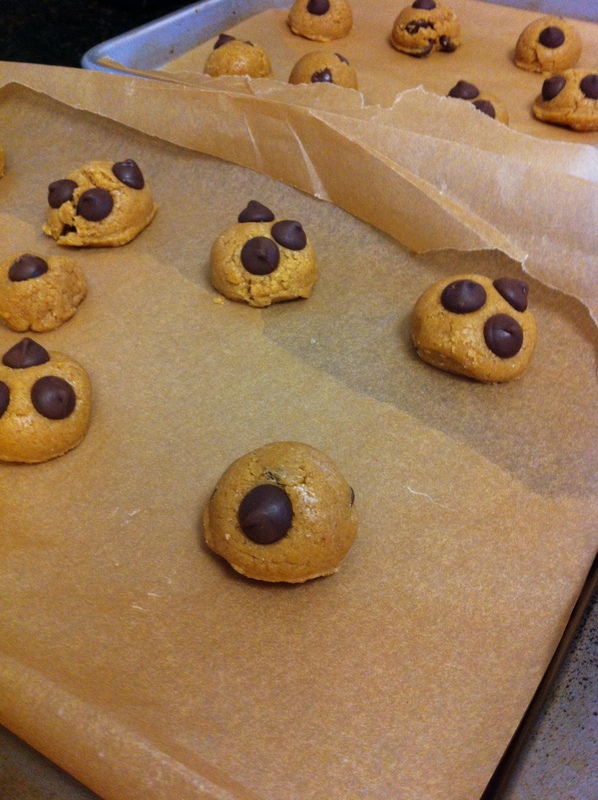 I just might have to make these again tomorrow…. 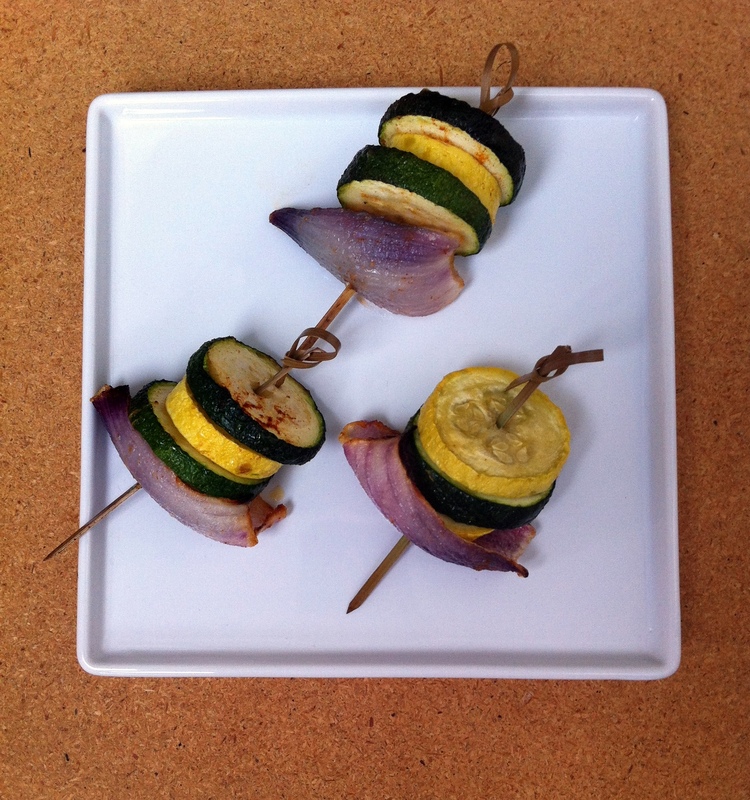 Cut the zucchini in half lengthwise and scoop out some of the inside with a spoon. 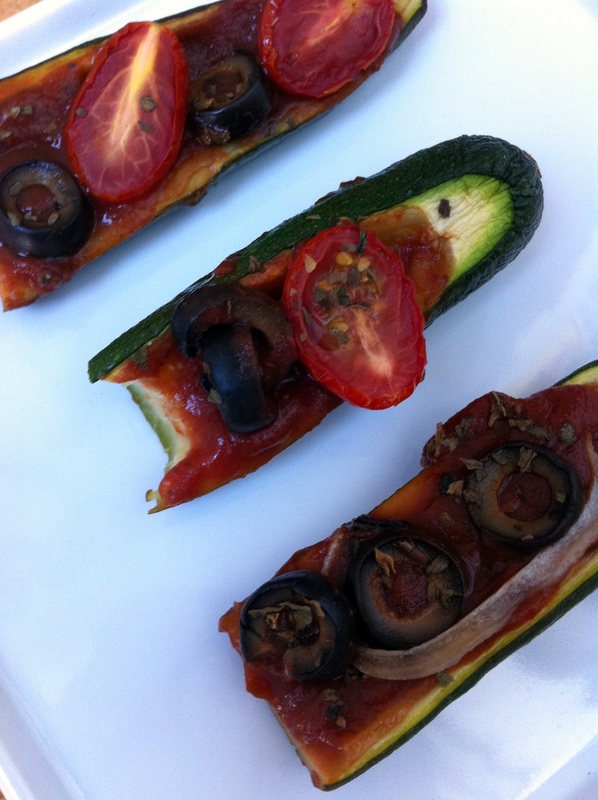 Spread sauce on zucchini and sprinkle with tomatoes, basil, onions, and olives. Let slightly cool, then serve! This was the dish that Tuna was in charge for a pre-thanksgiving hors d’oeuvre party and it was damn good. With all the lighter appetizers at holiday parties (think veggie trays, delish cookie tins), this is one to add to the menu. 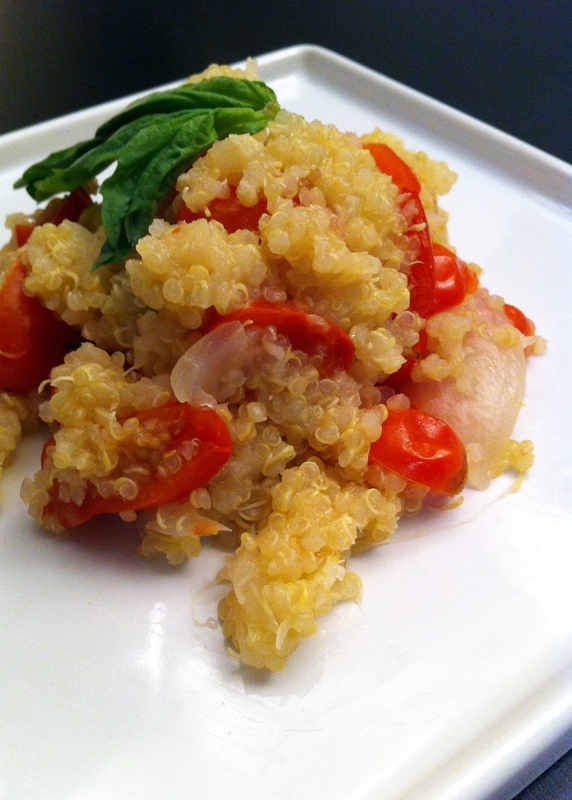 These bites are full of protein that satiate hunger without too many calories. Perfect to have before a glass [or two] of champagne. Flatten the chicken tenders and cut each slice in two horizontally. Also cut bacon slices in half. Dab ½ tsp of cream cheese on top of each chicken tender. Sprinkle ¼ tsp jalapeño on the cream cheese. 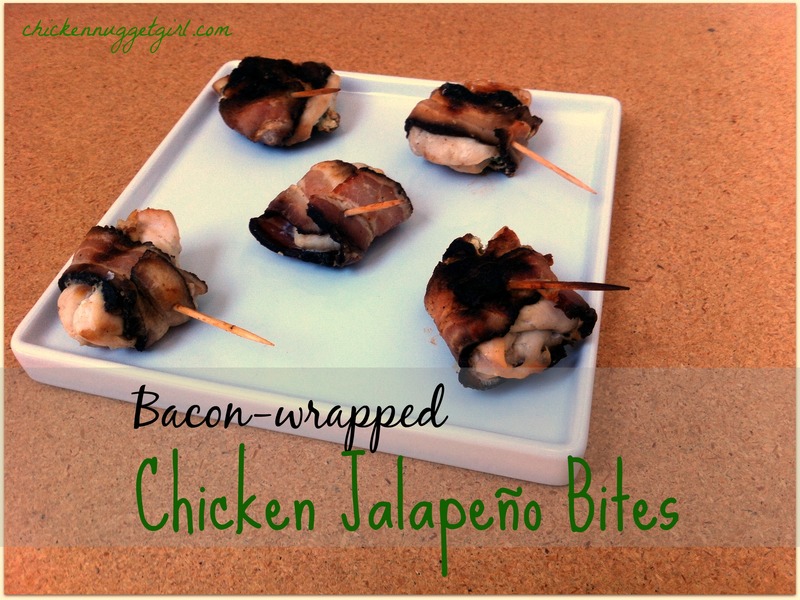 Roll up the chicken with the cream cheese and jalapeño on the inside. 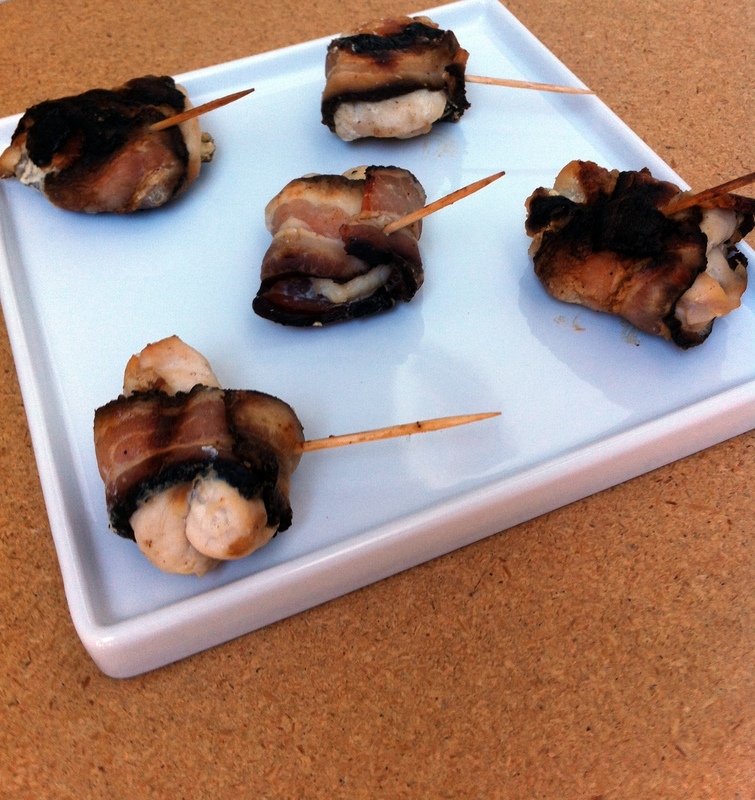 Wrap chicken roll with bacon and stab a wooden toothpick through. Grill for about 10 minutes until bacon is crispy and brown on both sides. 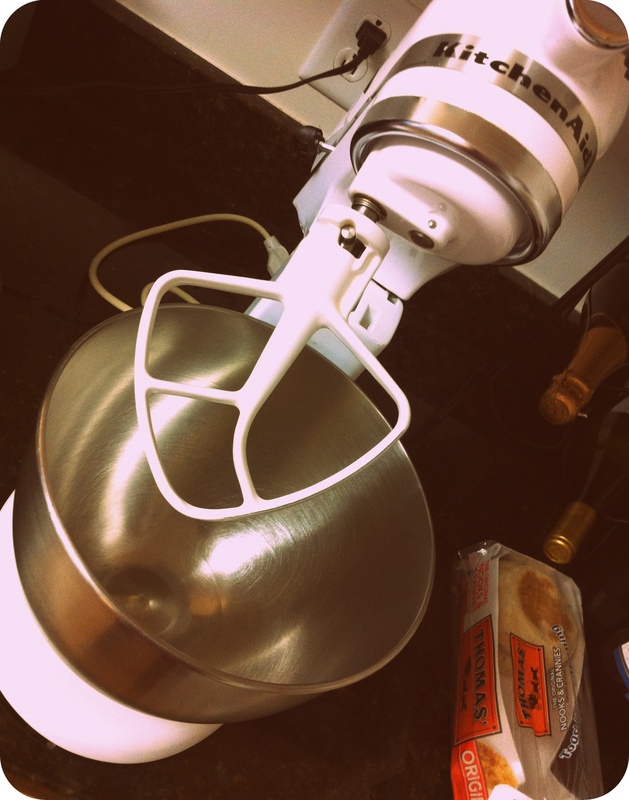 New recipes haven’t happened lately since we have been busy settling into the new apartment. I was out running errands one evening and came home to the amazing sound of sizzling soy sauce. 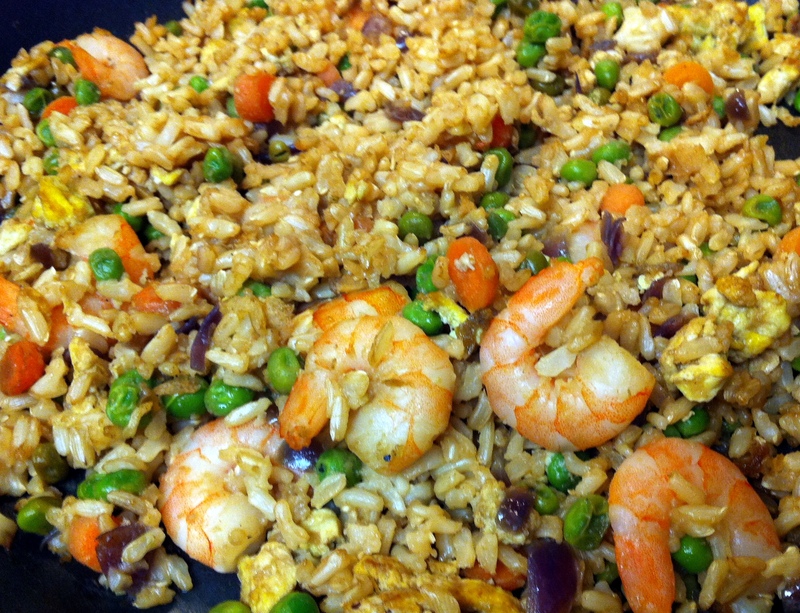 Tuna had cooked us up some restaurant-style shrimp fried rice! Not only did I immediately start shoveling it in to my mouth from the pan, I nodded in approval as Tuna attested to its legitimacy because it was from a blog. 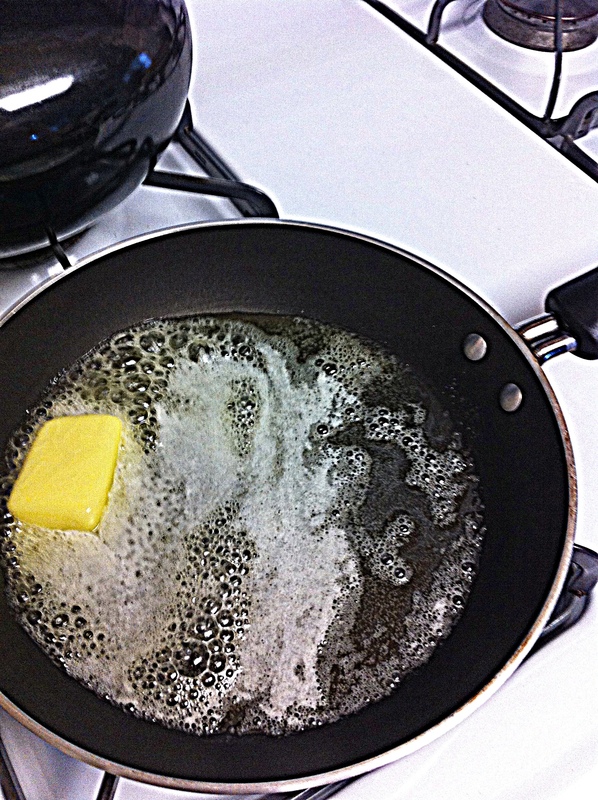 Preheat a large skillet to medium heat. Pour in sesame oil. Add onion, peas, and carrots and cook until tender. 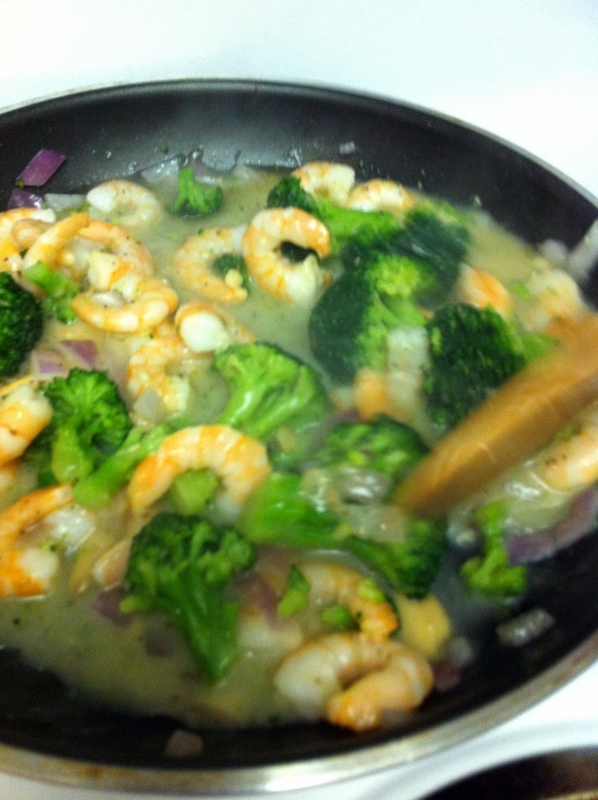 Push veggies to the side, and pour beaten egg mixture onto its spot on the skillet. Scramble the eggs. Once cooked, mix in the eggs with the veggies. 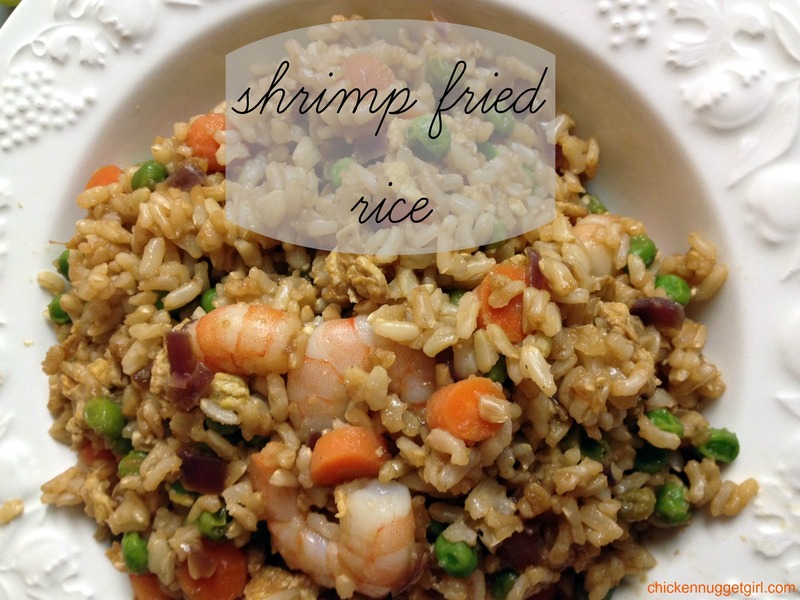 Add the pre-cooked rice and shrimp to the skillet. Add soy sauce and stir for a few minutes until hot. Thanks as always to Jenn @ Peas and Crayons for hosting WIAW! 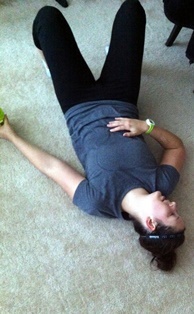 I can’t decide which is a better perk of the fall season: good running weather or pumpkin-everything. It’s a close call. 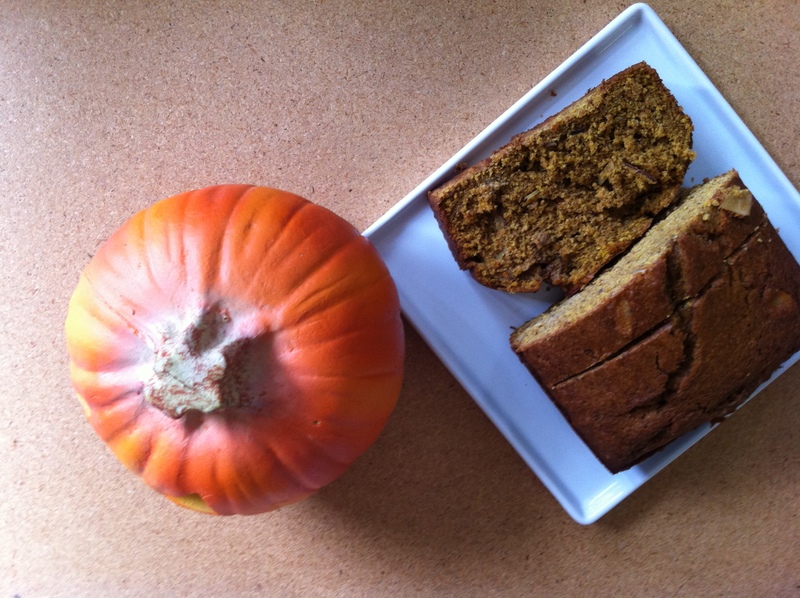 Not only is pumpkin amazingly delicious, it is also sups healthy. That means I can eat a lot of pumpkin and it’s still okay, right? Spray pan with cooking oil. 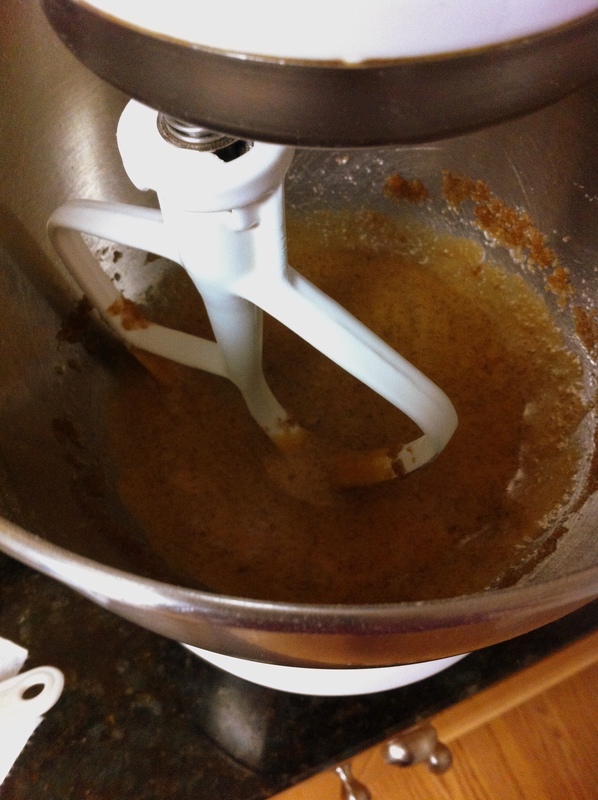 Beat together sugar and oil In a large mixing bowl beat sugar. Beat in eggs. 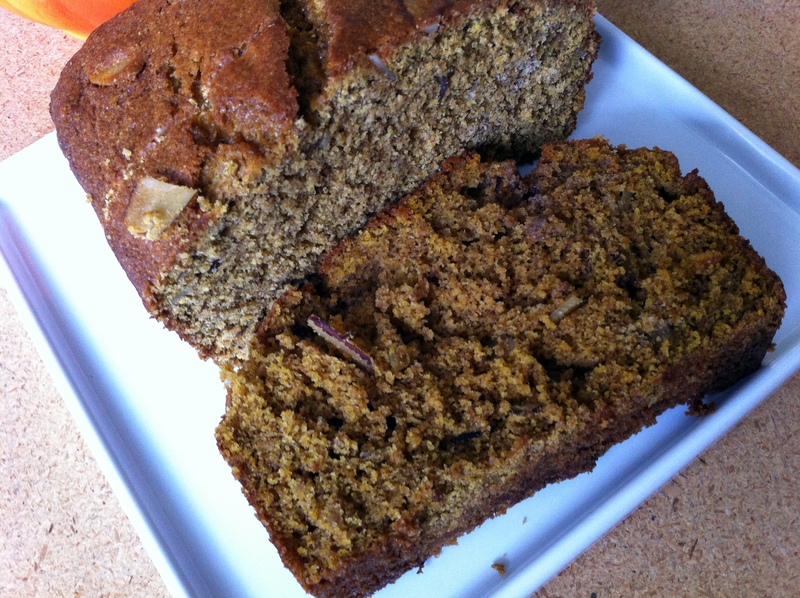 Combine flour, salt, baking soda, nutmeg, cinnamon, and cloves in a separate mixing bowl. 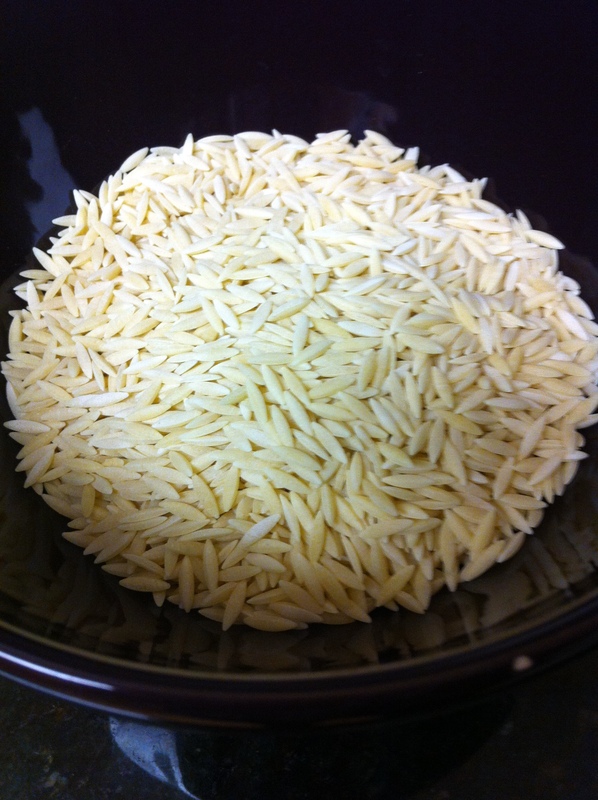 Add the water and half of the dry mixture to the wet mixture. Dump the remaining dry in the wet and mix well. 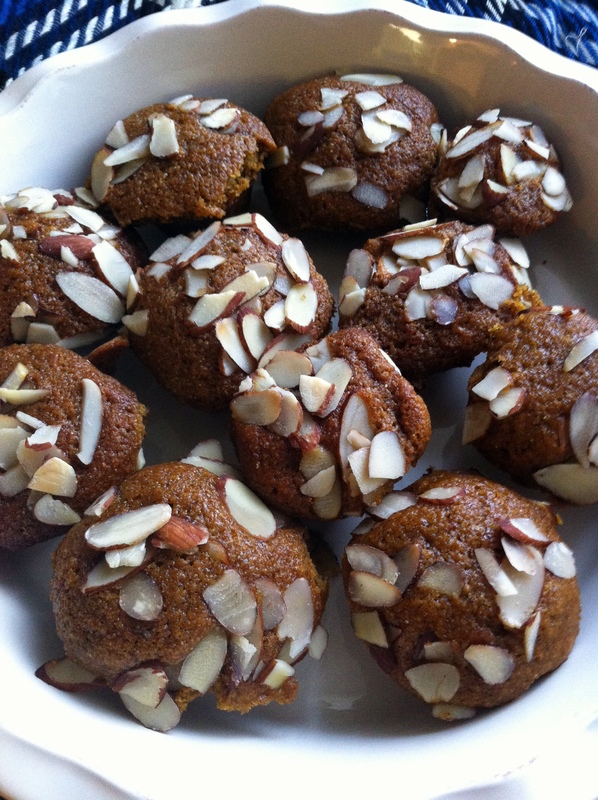 Beat in pumpkin and almonds. 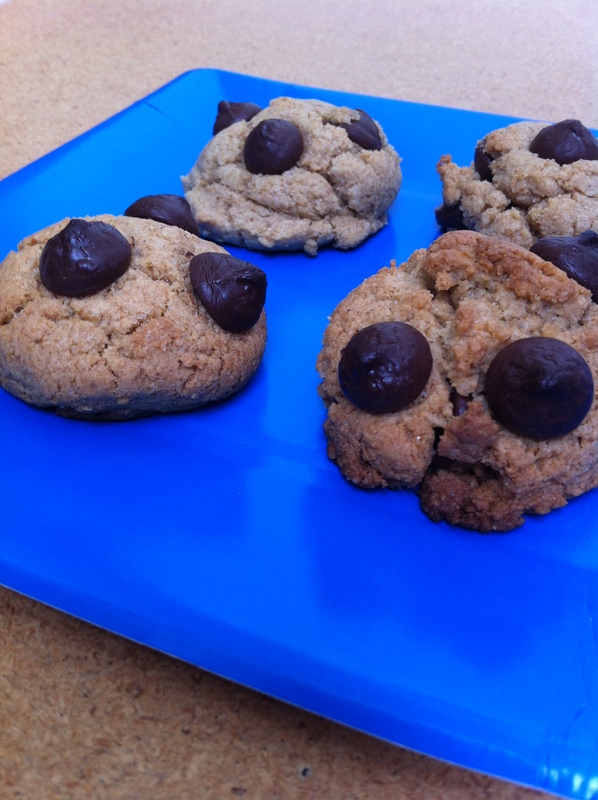 I also used this batter recipe [and added some dark chocolate chips 😉 ] for some perfect little muffs! The mini-muffins bake @ 325° F for 20 minutes. Also let these guys cool. I don’t think this quite counts as a ‘real’ recipe because the main ingredient is store bought (kind of like last week….) but I don’t really care because I am loving whipping up quick dinners lately. By the time I get off of work, do my run, and finally get home for the night, the last thing I want to do is spend an hour making a meal from scratch. 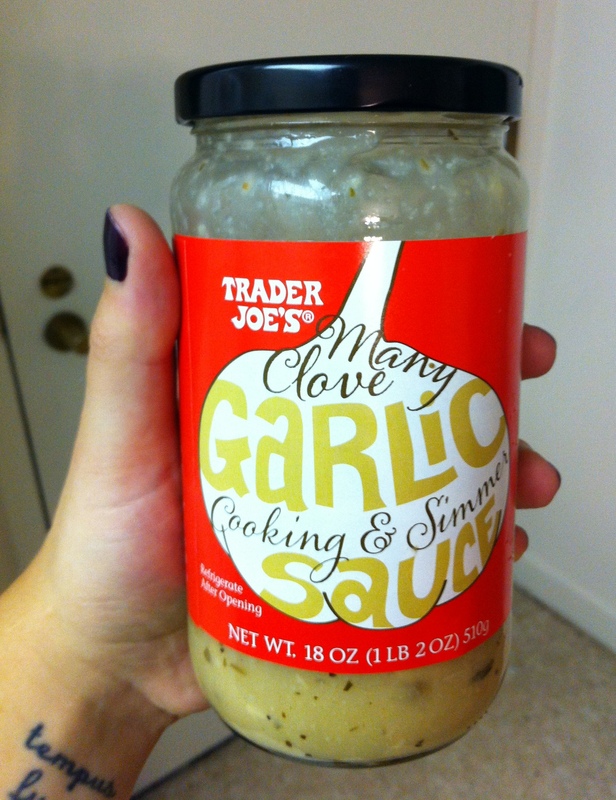 Perfect for throwing together savory pasta when hangry. 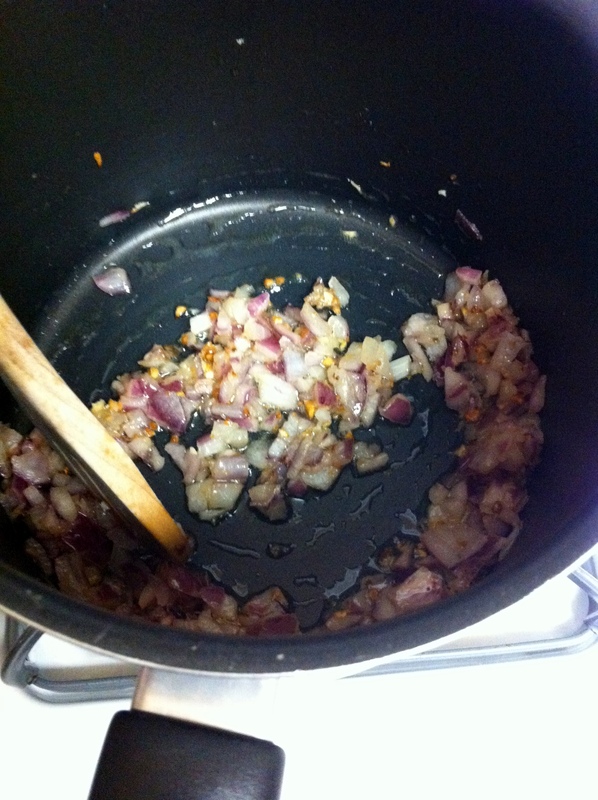 Heat a large skillet with olive oil and onions. 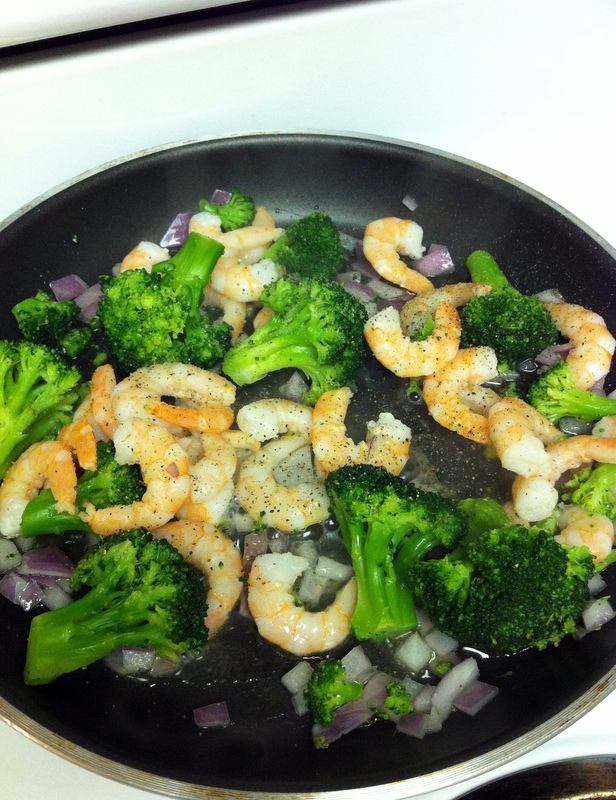 Zap the broccoli in the microwave and add to skillet, along with the thawed shrimp. 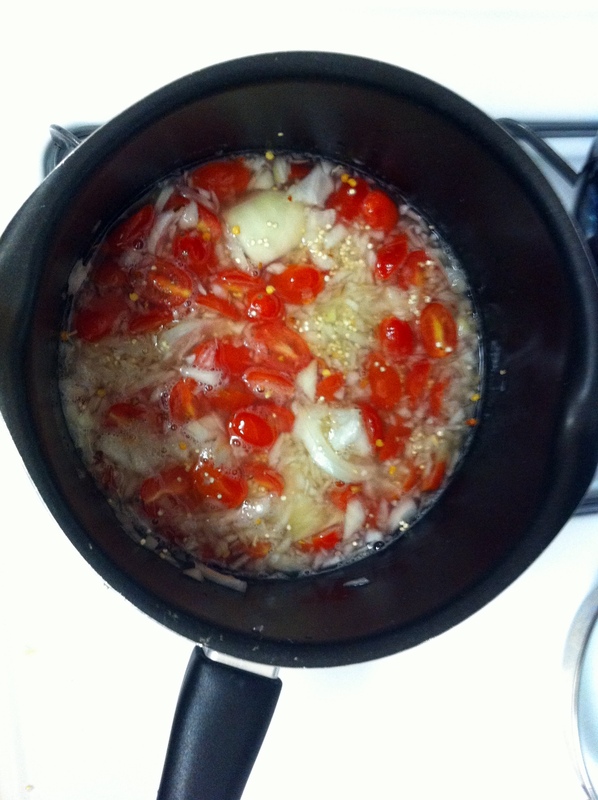 Let simmer for 3-4 minutes Add salt and pepper and garlic sauce and stir. 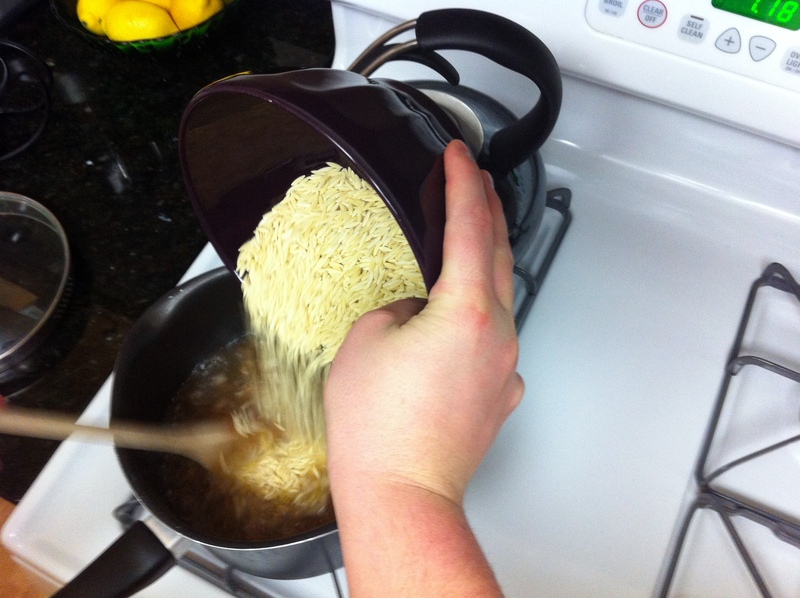 Pour sauce over pasta to serve.